Normally, hypertensive patients have a systolic blood pressure of 140 mm Hg or higher or a diastolic pressure of 90 mm Hg or higher on at least two separate occasions. However, even in healthy people, blood pressure fluctuates depending on the time of day and the activities they’ve been performing, so assessing hypertension requires several blood pressure measurements. Obtain at least one reading in both arms with the patient sitting, lying, and standing. A difference of 5 to 10 mm Hg between the arms is normal, but if the difference is more than 10 mm Hg, the patient may have arterial compression or obstruction on the side with the lower pressure. If a hypertensive patient’s diastolic pressure increases when he stands up from a supine position, he may have primary hypertension. However, if his diastolic pressure decreases when he stands (and he’s not taking an antihypertensive drug), he may have secondary hypertension. Take at least two measurements separated by at least 2 minutes. If the readings from the same arm vary by more than 5 mm Hg, recheck your technique and take additional readings until you obtain two that are similar. In particular, confirm a high reading with at least two subsequent readings. This helps to rule out white-coat syndrome elevated blood pressure in response to the stress of having a health care professional take the reading. White-coat syndrome occurs about 20% of the time. Several other factors also can influence the accuracy of blood pressure readings. Placing the cuff improperly or using a wrong sized cuff may result in inaccurate readings. For example, using a regular adult cuff on an obese patient may give an incorrectly high reading. You can use either a mercury or aneroid manometer. But remember that aneroid manometers require monthly calibration to ensure their accuracy. To prepare the patient for blood pressure measurement, make sure you have him remain seated quietly, in a comfortable environment, for at least 5 minutes. Free his arm from clothing by either rolling up the sleeve or having him remove his long-sleeved shirt and offering him a patient gown, if necessary. Then place the arm in a comfortable position. Make sure his arm doesn’t have an AV fistula for dialysis, scarring from brachial artery cut downs, or lymphedema, which may follow auxiliary node dissection and radiation therapy. Palpate for the brachial pulse to make sure it’s present. Before applying the cuff, make sure the brachial artery, located at the crease of the antecubital fossa, is positioned at heart level. If the patient is sitting, a table that reaches just above his waist is usually sufficient. If the patient is standing, support his arm at mid chest level. The reading can be falsely elevated if he expends effort keeping his arm up. If using a mercury manometer, position the gauge vertically with the meniscus at eye level. If using a calibrated aneroid manometer, turn the gauge so that it faces you. Place the cuff on the patient’s arm by centring the inflatable bladder over the brachial artery. Securely fasten the lower border of the cuff about 2.5 cm above the antecubital crease. 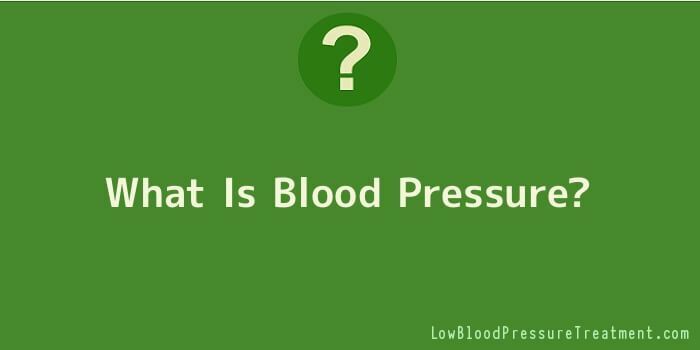 Falsely, low blood pressure readings commonly occur when the cuff isn’t inflated high enough. To prevent this, first estimate the patient’s systolic blood pressure. Then add 30 mm Hg to this estimated pressure. This number will be the target for subsequent inflations; using it should prevent errors caused by an auscultatory gap. After obtaining the target number, deflate the cuff completely and wait a few minutes before taking an actual measurement. To obtain the patient’s blood pressure measurement, place the bell of the stethoscope lightly over his brachial artery. The full rim should be in contact with his arm to create an air seal. Remember, the bell of the stethoscope will allow you to hear low-pitched Korotkoff sounds better than the diaphragm will. Inflate the bladder quickly to the target level. Then deflate it at a rate of 3 mm Hg per second. As the pressure decreases, note the patient’s systolic pressure as the level at which you hear the sounds of at least two consecutive beats. While continuing to release the pressure in the bladder, listen for the Korotkoff sounds to become muffled and then disappear. Note this level as the patient’s diastolic pressure. Usually, the points where the sounds are muffled and where the sounds disappear differ by only a few mm Hg. However, if the difference is more than 10 mm Hg, record both numbers along with the systolic pressure-for example, you might record a patient’s blood pressure as 160/90/72. After the sounds have disappeared, continue listening while the pressure decreases another 10 to 20 mm Hg. Then rapidly deflate the cuff to zero. If the sounds are difficult to hear, have your patient raise his arm and then open and close his hand five to ten times. Quickly inflate the cuff with his arm raised, then lower it and take a reading. This maneuver should help intensify the Korotkoff sounds. You may also measure blood pressure in a patient’s leg, particularly if you’re trying to detec coarctation of the aorta. Wrap a thigh cuff around his thigh and place the stethoscope bell in the popliteal space. Then obtain the blood pressure measurement just as you would in the arm. If the systolic pressure in the leg is more than 20 mm Hg lower than the brachial systolic pressure, the patient probably has an arterial occlusion. Another simple technique-the cold presser test-can be used to enhance blood pressure measurement and help identify the severity of hypertension. To accurately assess your patient’s systolic and diastolic blood pressure readings, you need to recognize the variations in the sounds you hear. After you inflate the blood pressure cuff and begin releasing air from it, you’ll hear the first of the five Korotkoff sounds described below. In this example, the blood pressure reading is 140/90 mm Hg. Phase 1: (systolic blood pressure) A sharp thump, and then tapping. Phase 3: The murmuring disappears, and sounds increase in intensity and clarity. Phase 4: (first diastolic blood pressure) A softer blowing sound that fades. Phase 5: (second diastolic blood pressure) The sounds disappear.